It's amazing what a chair pad set adds to a dining room. 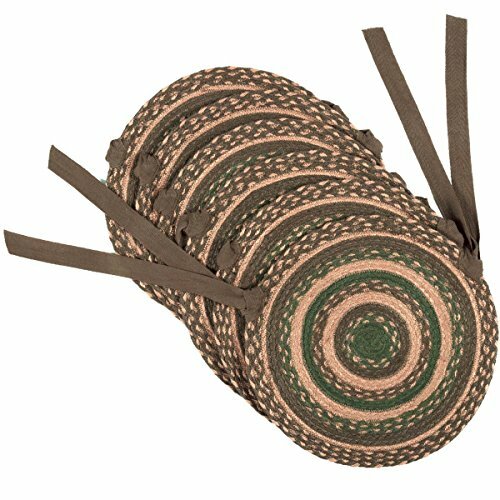 The concentric braids of dark brown, tan, and fern green of the Barrington Jute Chair Pad Set brings a rustic and lodge charm for that just-right touch for memorable meal times. Includes two ties for fastening to chair.